A significant point that every golfer should take into consideration in order to have a better golf experience is to select the type of putter to use. The golf clubs that are correctly fitted are usually better than the standard golf clubs. Usually, golf putters are available in as wide a range of lie as the iron ones. This range of options makes selecting a putter to suit the players' address position and body shape difficult, lest custom golf putters are selected. By choosing custom golf putters, a golfer may be sure that they receive the putter balance which fits their stroke. The golf putters, as is already known, have different weights to be suited to various types of stroke. This is the reason why selecting the correct putter for performance is a daunting task. There are a number of golf clubs available in the market. Unless a player picks the right pattern, their game will suffer. 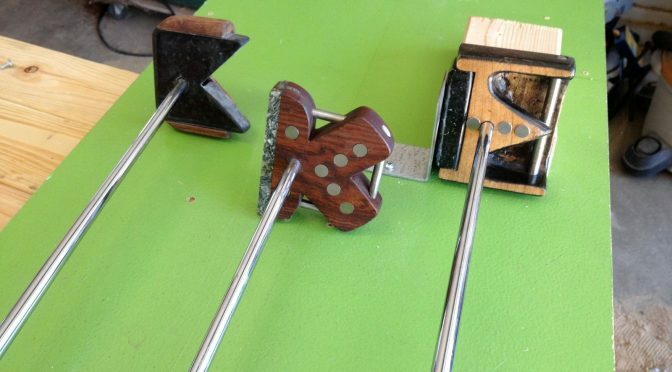 For a better game, custom golf putters should be used. To use custom golf putters, a player can get one which is designed perfectly for an ideal length requirement. Even though the standard putters work, changing the length of the putters can give the best performance. Custom putters do not transform a player's stroke, they adapt to make the stroke better. Monark Golf houses a huge selection from conventional blade putters to discount golf putters. By choosing a custom golf putter from Monark Golf, you will be sure to lower your score and improve your game.